We make sure your website will work on Computers, Mobile phones, Smart phones, Ipads etc.. You will be surprised to know that many of our competitors cannot offer this, and in the short and the long run the websites that they supply has limits on the amount of people that they can reach out to! New Computers are on route to become more easier for people to use, using touch screen technology. Sat Navs, PC Tablets/Pads, and Smart Phones all use Touch Screen navigation, Websites that do not use compatible coding will for sure fall behind, and become obsolete. The Site 4 U, always keeps an eye on the future! Our Websites will always be built on time, all we require is for you to supply the content for your website and the payment, and we can have a 5 page website built and fully operational within 5 working days. 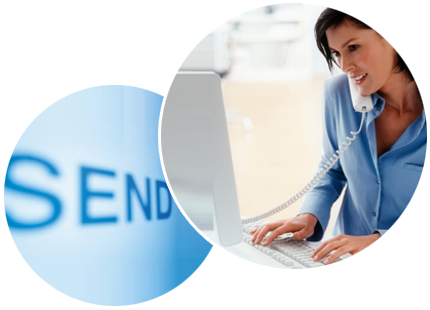 We provide you with many ways to contact us, before, during, and after your website has been built to answer all your questions, and provide you with on-going support and advice! Once you have made the right choice of ordering a website from us, we will provide you with your own Support Panel. Your Support panel will provide you with your account information, your renewal dates, your complete invoices (in date order), website submission tools, and much much more, all "Free" with your The Site 4 U package. * Website name free for 1 year.